Smith’s stance tracks with his previous positions on nuclear weapons. He’s balked at the long-term costs of nuclear weapons modernization, proposed the country adopt a policy of not using nuclear weapons first and attempted to cut funding for the air-launched cruise missile replacement. Smith’s call to arms ― or dis-arms ― Tuesday came hours before the top Democrat on the Senate Subcommittee on Energy and Water Development, Sen. Diane Feinstein, voiced her opposition to the $65 million allocated in her subcommittee’s appropriations bill. The weapon exceeds past nuclear modernization efforts, she said before signaling support for the appropriations bill overall. A day earlier, the House Rules Committee cleared an NDAA amendment that would fence half the 2019 funding for the weapon — a modified W76, dubbed the W76-2 — until the defense secretary submits an assessment of its impact on strategic stability and options to reduce the risk of miscalculation. That amendment, by Reps. Earl Blumenauer, D-Ore., and Jim Garamendi, D-Calif., was among 103 that House Rules cleared Monday for floor consideration. Among the 560 others pending Tuesday, one from Rep. Ted Lieu, D-Calif., would kill the W76-2 by shifting its $65 million budget line to deficit reduction. These amendments have a long, dim path procedurally and politically. All but a few Republicans, who hold the majority in both chambers, are unlikely to vote for measures that tie the president’s hands or contradict his defense strategy. The Trump administration’s Nuclear Posture Review laid out the thinking behind the weapons. Russia is investing in its own, assuming it can use them on the battlefield to back down any enemy who lacks proportional response, the thinking goes. The House Armed Services Committee earlier this month voted along party lines to include an endorsement of the Nuclear Posture Review in the NDAA and to reject a series of Democratic amendments aimed at limiting the Trump administration’s pursuit of low-yield nuclear weapons. In the debate, HASC Republicans echoed Defense Secretary Jim Mattis and other Pentagon leaders to favor a robust nuclear program that poses a credible deterrent and keeps pace with Russia’s and China’s modernization efforts. Plus, it provides the United States with more flexibility in war, it’s argued. 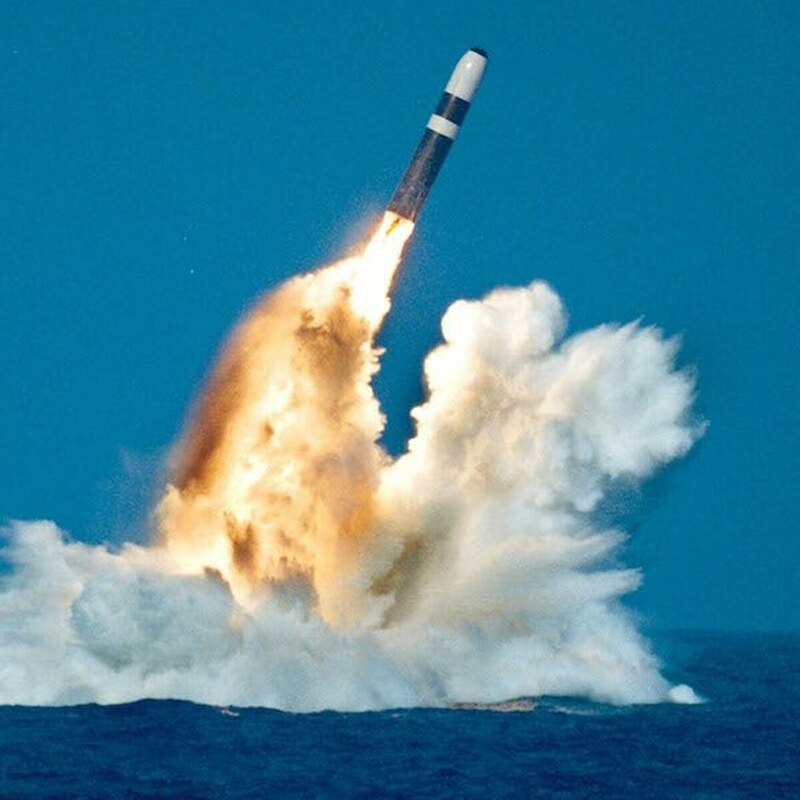 HASC Democrats, generally speaking, echoed disarmament advocates, warning against a new arms race, a lower threshold for the use of nuclear weapons and a heightened risk of miscalculation. “We understand they are inalterably opposed, but we have to understand Russia has this capability,” House Strategic Forces Subcommittee Chairman Mike Rogers, R-Ala., said Tuesday of Democrats. Two Democratic lawmakers are sponsoring legislation that would require the president to receive congressional approval before initiating a first-use nuclear strike from the United States. The debate likely to spill onto the House floor has already spread beyond the House Armed Services Committee to debate on the House’s energy and water appropriations bill, on May 16. “At a time when we should be reducing the threat of nuclear war — indeed at a time when we are asking other nations to [reduce] this threat, we are doing just the opposite,” said Rep. Barbara Lee, D-Calif. Lee proposed and withdrew an amendment to the appropriations bill to move $65 million for the W76-2 to nuclear nonproliferation accounts. On Tuesday, Smith declined to say whether Democrats would continue to target appropriations bills.